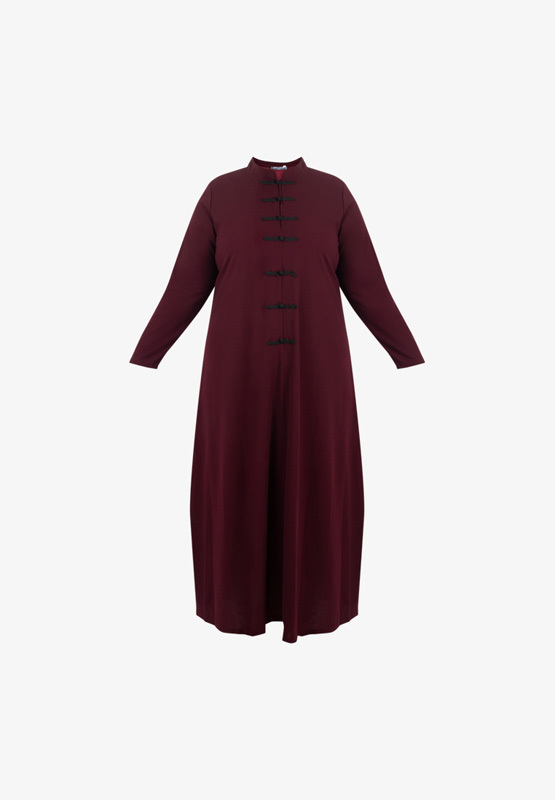 Minimalist long top with tiny gorgeous oriental elements, perfect for the Lunar New Year. 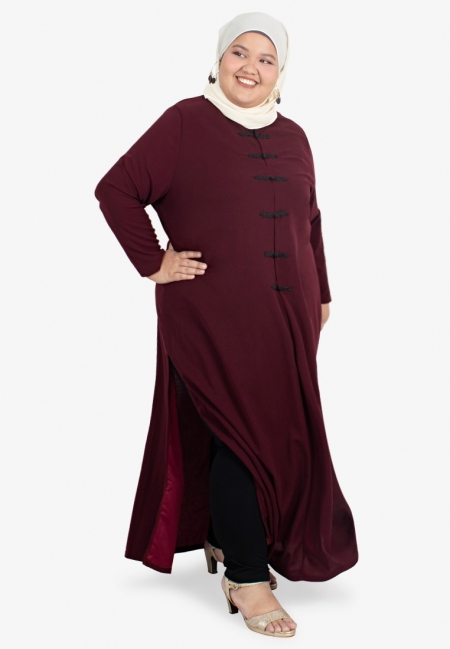 This simple and modest design is made with a comfortable material - perfect for plus size ladies of any race. plain sleeves means the cuff is small? not wudhu friendly? The material is slightly stretchable you can still manage to roll those sleeves up.